This broccoli is the most familiar vegetable dish on my family's dinner table. Thanks to our beloved Patsy, our family's (and our community's) own Italian grandpa. He ran a local Italian restaurant where he took the time to create a menu for the average diners, but for the ones he loved....he would slap your hand and shut your mouth if you even dared to try and order something you were craving. He knew what you needed, and THAT is what you were going to get, and what you needed....was a big plate of sauteed broccoli and "the fish"Since he retired, this has become a nostalgic comfort food for me. Reminiscent of the many years of laughing and conversation our family and friends shared in that little brick building. Drizzle olive oil in a pan over medium heat. 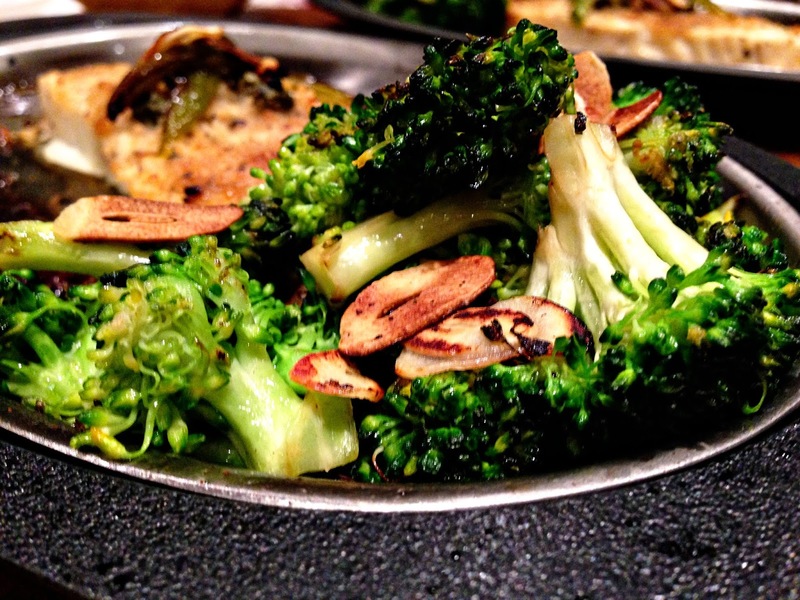 When the oil is heated, add in the broccoli, sprinkle with kosher salt and toss several times to distribute the oil. Cook, continuing to toss occasionally for 5 minutes. Add in shaved garlic and toss. Continue to cook and stir until majority of the garlic is toasted to a medium golden brown (around 5 minutes). The broccoli should be firm but fork tender. Serve immediately. Thanks Krystal! Enjoy your day. This broccoli looks so good and easy! Thanks for sharing! You're welcome! It's so delicious, we ate it 3 nights last week! YUM!